Joey Bada$$ about to earn his hip-hop Ph.D. He is the hip-hop golden boy of the moment, surfing the frothy waves of social and mainstream media. He shares selfies of first daughter Malia Obama wearing his Pro Era collective’s T-shirt. He leads anti-police-brutality marches in New York. He gets thrown in an Australian jail for punching a security guard at a music festival. Joey Bada$$’s lightning-rod persona is not artifice; rather, it’s the natural outgrowth of his music, which the young rapper brings to Portland’s Wonder Ballroom June 19. Bada$$’s sound, rooted in conflict music, comes from a crossroads: a polished, balanced but still funky blend of cultures, generations, continents and emotions. Showcased in his January release B4.DA.$$, the 20-year-old’s flow is classic East Coast stuff, reminiscent of fellow Brooklynites Nas and Yasiin Bey, a.k.a. Mos Def. But Bada$$’s voice also gets raspy and tonal, pure ragga Jamaican dancehall and Buju Banton, invoking his parents’ roots in the Caribbean island of St. Lucia. Bada$$’s career took off in 2012, when he was just 16, after he dropped a super-successful mixtape, “1999.” Featuring production from heavyweights including DJ Premier, J Dilla, Statik Selektah and MF DOOM, the recording put Bada$$ (born Jo-Vaughn Scott) on the map, with more than 1 million downloads. “B4.DA.$$” has sold more than 100,000 copies since January, Bada$$’s Pro Era reps said via email. The album debuted in the Top 5 on the Billboard 200, outselling new records from Portland’s own The Decemberists and Marilyn Manson as well as Billboard regulars Nicki Minaj and Lupe Fiasco — quite a feat for a young, independent hip-hop artist. But even with better-sounding studio production than “1999,” it remains to be seen if “B4.DA.$$” will continue the fast-paced growth of the Bada$$ brand — or just make more money. The record finds East Coast producers DJ Premier and Statik Selektah crafting thickly-wrought, thumping grooves that feel at once sparse and claustrophobic. 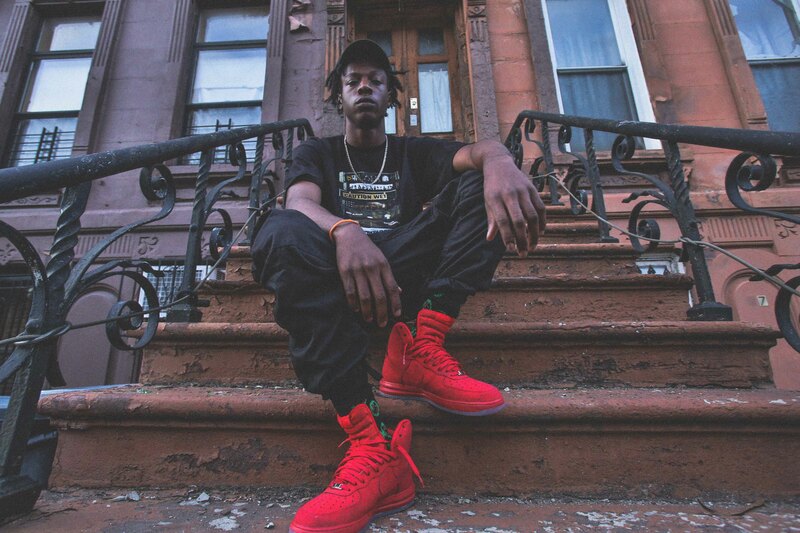 The lyrics Bada$$ layers over them reflect a youthful nihilism consistent with his social media photos, which often feature middle fingers pointed at the camera. “I can’t see what I can’t relate to,” Bada$$ raps on “Hazeus View,” in which Hazeus is pronounced like Jesús in Spanish. “Hip-hop is the biggest musical genre in the world,” he boasted in a recent interview with hip-hop radio station Hot 97, ignoring the popularity of rock, pop and country. In the past, Bada$$ has found a balance between hippie rap and the gangsta stuff. “Instead of lead slugs, I spread the love,” he rapped on mixtape track “95 til Infinity.” But when it comes to police, his take is strident. “If you see a cop, hit him in his baby back ribs,” he wrote on “No. 99.” His slickly-produced video “Like Me” features images that draw parallels to Michael Brown’s death and other police shootings of young black men; 1.7 million have watched online as officers shoot Bada$$ in the back, after which he rises again, a hip-hop zombie. High expectations haven’t been the heaviest burden the Brooklyn MC has shouldered. He cancelled a scheduled European tour in late 2014 when his cousin Junior B died in a car crash. And in 2012, Pro Era artist and Bada$$ collaborator Capital Steez committed suicide by jumping off a building on Christmas Eve. But nothing has held Bada$$ back so far, with the exception a heavy-rotation song that could catapult him toward Jay-Z’s or Kanye’s orbit. Sure, he dropped out of high school, but Bada$$ earned his Hip-Hop Ph.D. Check out his dissertation this week at the Wonder Ballroom.